Plumber Restoration Takes the Guesswork Out of Choosing a Qualified Plumber. As SE Michigan’s leading water restoration company, DryMedic Restoration Service has seen our share of plumbing emergencies. The number one question homeowners ask us is “Can you recommend the best plumber to fix my plumbing problem?” ABSOLUTELY! 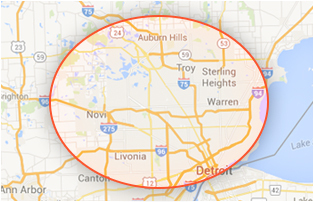 Because we service homeowners and property managers all over the metro Detroit area, we’ve created a network of the most dependable, trustworthy emergency plumbers we use on a regular basis. 24-Hour Emergency Plumbers for Burst Pipes, Flooded Basements and More. We Can Recommend a Local Plumber for Your General Plumbing Service Needs. Has Your Home Water Bill Skyrocketed? If you have an unexplained jump in your water bill, you may have a hidden plumbing leak. We use electronic leak detection services that can pinpoint the damaged area and get right to the source of the leak. Before you tear up the floor or cause unnecessary damage to your home, call Plumber Restoration. We’ll send a qualified plumber to investigate and remediate the problem. Finding Water Leaks Early On is Imperative to Preventing Structural Damage and Mold Problems. 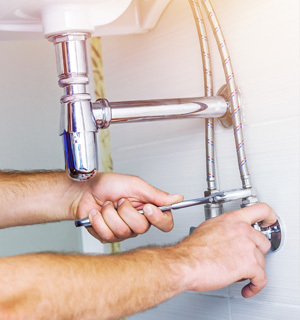 To find an emergency plumber in Royal Oak, Milford, St. Clair Shores, Pontiac, South Lyon or any of the surrounding areas in Wayne, Oakland, or Macomb county call Plumber Restoration. We only recommend the qualified plumbers that we use for our DryMedic Restoration Service. The contents of this webpage are Copyright © 2019 Plumber Restoration. All Rights Reserved.